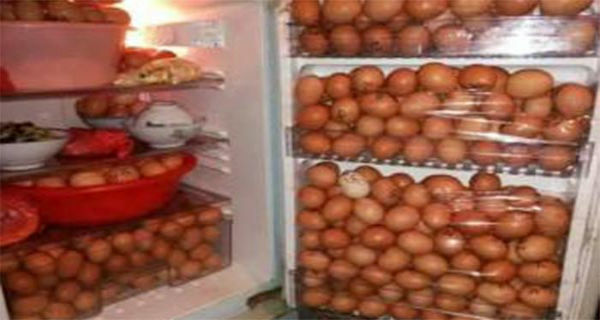 Home egges police worldhealthinfo Police Opened His Fridge And When They See This They Arrested Him IMMEDIATELY! You Won’t Believe Why..
Police Opened His Fridge And When They See This They Arrested Him IMMEDIATELY! You Won’t Believe Why..
Security guards at factories typically hold positions of considerable trust. Companies depend upon these employees to help thwart thefts and other types of security threats that potentially cost manufacturing businesses time and money. One business enterprise in China encountered problems recently because a 43-year old security guard named “Gu” engaged in a pattern of repeated petty thefts and rule infractions. His misdeeds only came to light after police searched his apartment and discovered his employer’s property filling the premises. Gu had worked as a guard for a manufacturing company during the night shift. The Chinese government did not reveal what types of products the plant produced. When law enforcement personnel visited his apartment, police discovered a refrigerator on the premises crammed with approximately 1,000 eggs and three shelves of meat items stolen from Gu’s employer. Additionally, hundreds of bars of soap, boxes of tissue and cleaning products that had gone missing from the workplace turned up in Gu’s apartment. A spokesperson from the factory expressed the company’s sense of disappointment and betrayal. He noted that the firm had considered Gu, a bachelor, a “hardworking and dutiful guard” who preferred working nights because of his single status. Instead, the spokesman observed, Gu had sought the night-time shift in order to gain access to the business to steal when few other people occupied the area. He had roved through the plant pilfering food and supplies.